How will you choose your next gem purchase? With thousands of minerals on the maket today, what makes a gem? 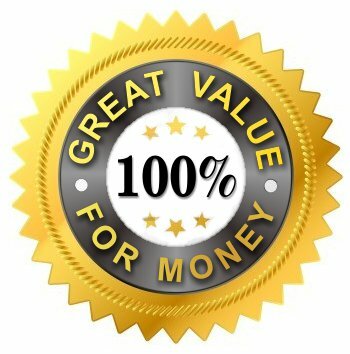 and how do you choose the best comination of value factors like colour or clarity to make the best purchase? Pearls: Natural, Cultured or Imitation? Nature's most alluring organic gem, pearls can be challenging to identify! Learn the difference between natural and cultured pearls, as well as a trick you can use to spot imitations! How do they make these things? Do you know how they make the jewellery you are wearing? From concept to design, to manufacture - understand hand fabrication, wax casting and even new technologies in fabrication! 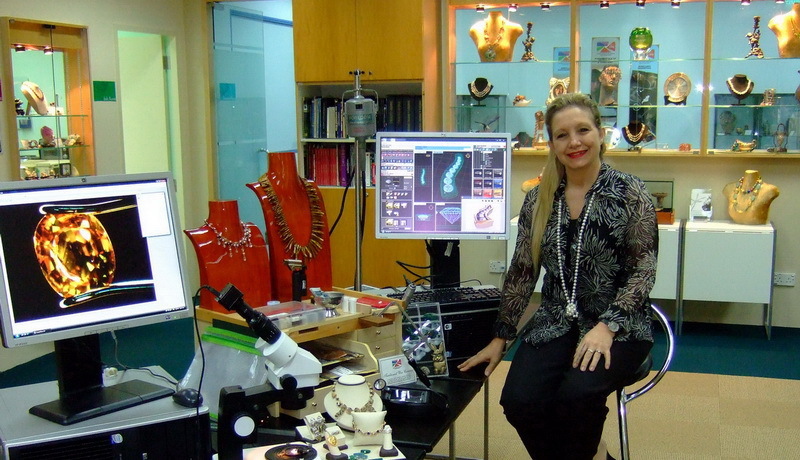 Join Tanja Sadow, dean of the JDMIS, exceptional educator and 30 year veteran of the jewellery industry as she shares her passion, experience and anecdotes about gems and jewellery! 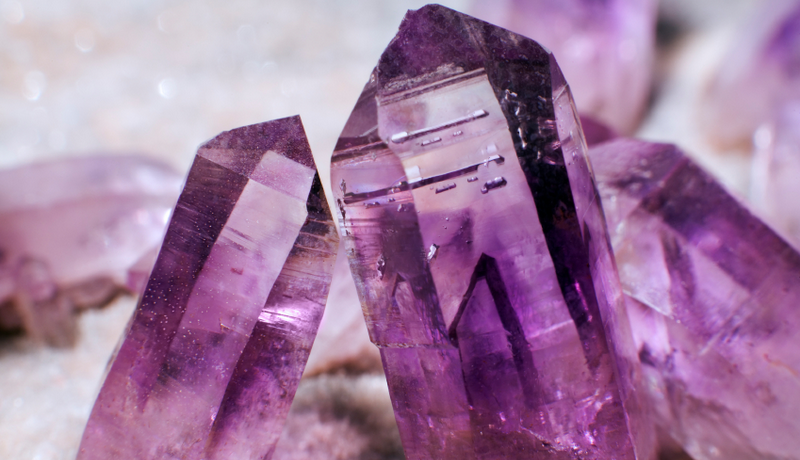 Start your journey at the source: learn about gemstone origins, how they are mined and who the middle-men involved are that craft and carry these extraordinarily valuable minerals to market. Learn about quality and value factors for all types of gems, from Diamonds to Coloured Stones, Organics to Jade. This comprehensive course gives you the knowledge and power to take control of your gem purchases (if you are a collector or enthusiast) or your sales process (if you are a designer or jewellery professional). Beyond the common trade practices and pricing, you will learn about imitations, synthetics and treatments sometimes used to enhance or even to deceive! You will never look at gemstones in the same way again! Learn about a variety of beautiful natural minerals and how gemologists analyze and classify them. The flow from mine-to-market is understood together with common gem cutting practices. 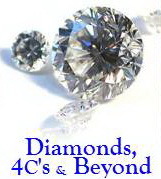 Unlike diamonds, the 4 C's are weighted differently when applied to coloured gems. Learn methods for evaluating colour in gems and how different clarity types are assessed. See a wide range of cutting styles in todays market and methods for carat weight assessment. Imitation gems and treatments can be traced through history but synthetic or 'cultured' gems use more modern processes that are sometimes misrepresented at the buyer's expense. Understand the synthetics readily available in the market, imitations and treatments of gems and their proper disclosure practices in the gem trade. 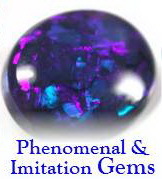 An array of special gem materials which react in amazing ways to certain light sources are covered. From common to rare, students discover all about gem phenomena and phenomenal imitations. Colour, Clarity, Cut and Carat are explained from a gemmological point of view. The origins and history of diamonds are reviewed and an understanding of the modern diamond trade is imparted. Many materials are made to resemble diamonds; some can be easily identified, while others nearly identical. The differences between natural and synthetic diamonds are covered. Tips and quick practical tests are shared to assist in identification. 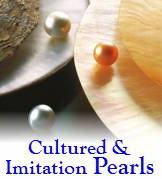 Varied examples are used to identify the different quality factors of pearls and how they affect price. Colour, lustre, shape, spotting, nacre thickness & make are amongst factors explained & observed. 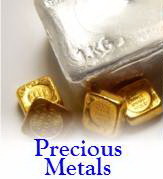 An overview of the history, terminology, science, testing and grading of metals is presented, as well as an analysis of the world's most impressive precious metal jewellery are discussed. Metal purity is documented through Trade- and Hall-marks which are inspected. The history of jewellery manufacturing is as colourful as jewellery itself. 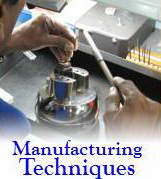 This overview also focuses on today's manufacturing processes and factors that affect durability, quality and price. 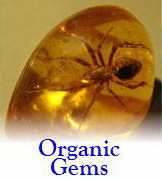 Materials produced by something living or once living are known as Organic Gems. Amber, Jet, Bone, Ivory, Shell and Coral are covered, with other less common but unusual types found in jewellery today. 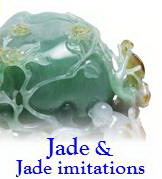 As one of the most popular gems in the Far East, Jade has many imitations, and two genuine forms: Jadeite and Nephrite. Learn Jade's history, value factors, imitations & lore. This comprehensive course costs $2,200 and includes all reference materials and jewellery equipment including a jeweller's loupe with UV and VLS light source, tweezers, gem carat scale, and other tools of the trade. This popular course takes place in our 'Diamond Room' where participants are able to see, examine, scope and understand Tanja's cllection of over 1,200 gems, jewellery pieces and examples, including rare and valuable specimens as well as common imitations found in jewellery markets in the region! Far from being a 'theory' course, this is an extremely hands-on programme guaranteed to raise your awareness of the jewellery you wear, buy, sell or design! All certificate courses are subject to JDMIS' short course attendance and refund policy. Not ready yet? Stay in the Loop! 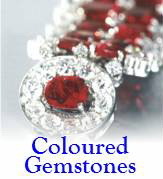 Are you interested in Gems and Jewellery? We share tips, tricks, new sources for materials and other fun stuff with our students! Get in on this exclusive mailing list with just one click! × Warning! We had a problem processing your newsletter signup request! × Cool Beans! You are now in the loop! We sent you an email to confirm you want to be on our mailing list!